Treatment for a shin bruise may consist of cleaning and bandaging the area. Over-the-counter medication may help relieve pain associated with a shin bruise. An ice pack, which can help with a shin bruise. 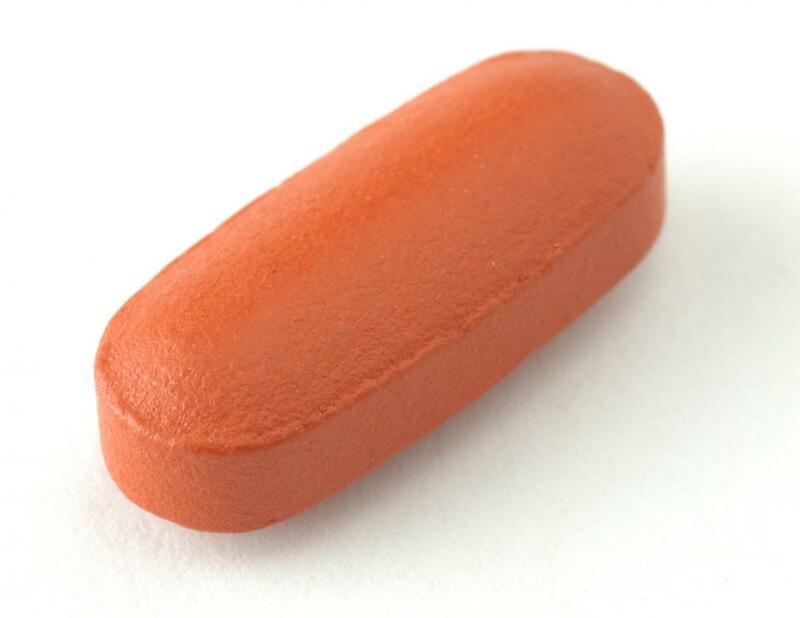 Ibuprofen is typically not recommended to treat a bruise. Bruises appear when blood leaks from damaged capillaries. Treating a shin bruise is typically a matter of applying some simple first aid techniques. An ice pack can help reduce the swelling and discoloration, and mild pain relief medication is usually enough to alleviate the discomfort. Severe bruising or broken skin might require additional measures, such as cleaning and dressing the wound. Most of the time at-home treatment is adequate for these types of injuries; however, professional medical attention might be needed when bruising is unexplained or persistent, or if an individual is at risk of complications. Bruises develop when the capillaries in or under the skin are damaged, allowing blood to leak into tissues and muscle. For most people, shin bruises are not serious, but they often cause some discomfort. Minor pain can be alleviated with an over-the-counter medication such as acetaminophen, but it is best to avoid medications such as aspirin and ibuprofen, as these can encourage bleeding. This is particularly important for someone who is taking blood thinning medications such as warfarin. The first instinct for most people upon sustaining a shin injury is to rub the affected area, and this can be helpful for minor bruises. If the damage is severe, it’s better to resist the urge to massage the area for the first day or two. Rubbing can help relieve some of the immediate pain, but for a severe or bleeding bruise, it can make it worse in the longer term, as it encourages more blood to flow into the area. For similar reasons, heat should not be applied to bruised skin. If the injured area is swollen, elevate the leg to help bring the swelling down and apply a cold compress or ice to reduce the pain. 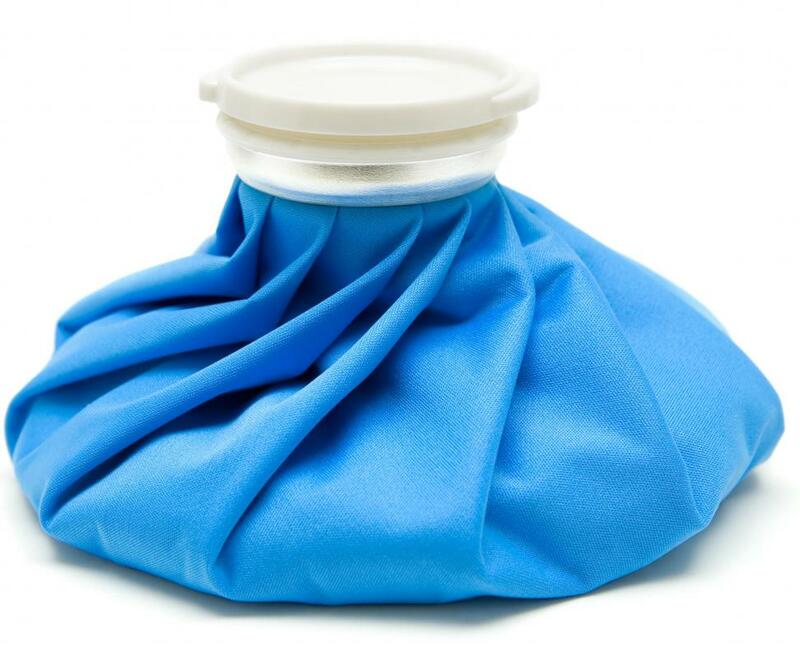 An ice pack can be as simple as placing ice in a sturdy plastic bag or simply a bag of frozen peas or corn. The pack can be applied for 15 to 20 minutes per session every three to four hours. In most cases, the swelling will go away after a couple of days. As the injury heals, it will fade from dark blue and purple to shades of green, golden brown, and yellow before the skin returns to its usual coloring. The pattern of colors tends to be similar for light to medium-brown skin tones, although the colors are darker, and color changes typically less obvious, on darker-toned skin. Mild to moderate bruises normally heal within two weeks, and as long as the discoloration begins to fade within two or three days, no additional treatment is needed. In medical terms, a bruise accompanied by broken skin is referred to a wound, or as bleeding. Treating such an injury might require a couple of additional steps to ensure it heals safely. If there are any open areas of skin, clean them thoroughly with an antiseptic solution and cover them with a clean dressing. 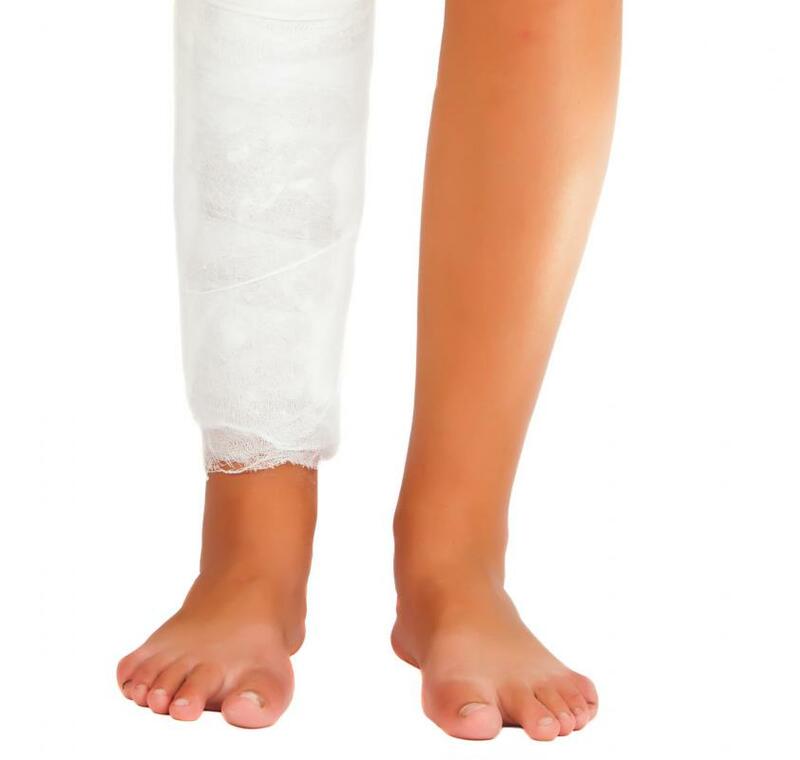 It is safe to use ice on the bruising, but the ice pack should be wrapped in a towel or other fabric to ensure the skin around the wound stays dry. A large or deep wound should be examined by a healthcare provider. People who are older, have diabetes, or who have poor circulation in the legs for other reasons have an increased risk of developing shin ulcers as a result of severe bruising. This is particularly true if any skin breakage accompanies the injury. For people who are at risk, it’s worth taking extra care to avoid injury and to keep a close eye on any wounds that do occur. 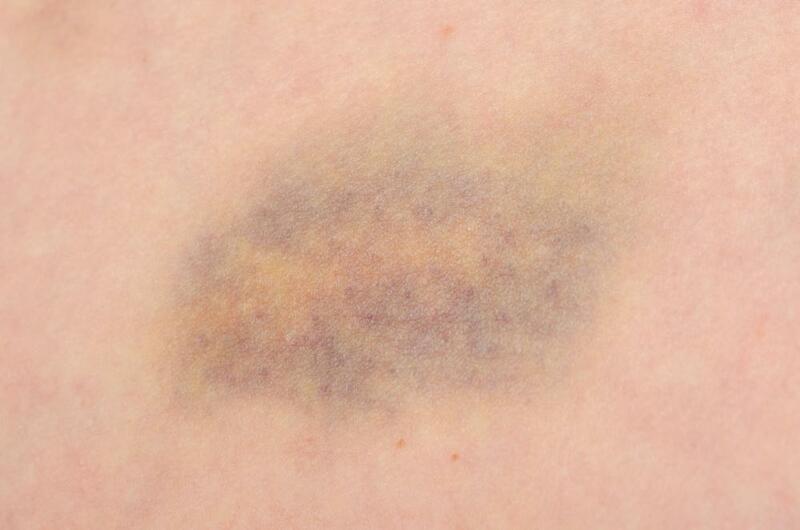 To be safe, consider getting anything other than a minor bruise checked by a doctor or another medical professional. In most cases, it’s easy to pinpoint the cause of a shin injury as a fall or another type of minor accident; however, if you find that you are bruising more easily or severely, or developing bruises that you cannot account for, there might be an underlying medical condition at fault. This is also a possibility if you have a wound that is slow to heal. In either case, it’s important to seek the advice of your healthcare provider to rule out any potentially serious causes. Possible causes of unexplained or slow-healing bruises include blood-clotting disorders and leukemia, making prompt diagnosis and treatment vital. What are the Best Tips for Shin Splint Taping? What are the Different Types of Shin Stretches? What are Different Bruise Remedies? 20 minutes minimum on ice pack. Stay away from heat when there is swelling. Heat promotes healing, but worsens inflammation. I often get shin bruises from wandering around my house and not paying much attention to the surrounding objects. I must say that they hurt like nothing else! Does anyone know how long to keep on the ice or hot compresses to reduce swelling? I hate having a painful swollen mark there.